Most art shows are collections of works by an artist or group of artists. do it is a different kind of exhibition, one that has taken place again and again around the world with a different look each time. 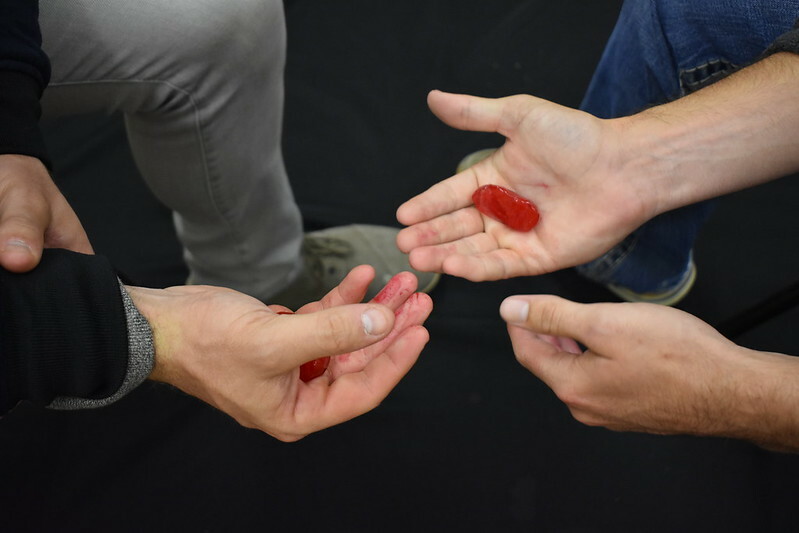 It began in 1993 as a conversation between a Swiss curator and two artists, exploring whether traditional exhibition formats could become more open-ended. They asked whether a show could take written instructions as a point of departure, each of which could be interpreted anew every time it was enacted. The curator invited 12 artists to send instructions, which were translated into 9 different languages and circulated internationally as a book. In the years since, the set of instructions has grown to over 250, and do it has been featured in at least 50 different locations worldwide, including major museums and university galleries. This iteration of do it Pike County organized by Pike School of Art – Mississippi is the very first presentation of an Independent Curators International exhibition in the state of Mississippi. Instructions will be interpreted by student artists and members of the community. Exhibitions and events will take place at St. Andrew’s Activity Center, Pike County Chamber of Commerce, McComb Public Library, Edgewood Mall, and Percy Quin State Park. The exhibition is a P.S. Satellite of Prospect New Orleans‘ Prospect.4: The Lotus in Spite of the Swamp taking place concurrently in nearby New Orleans. 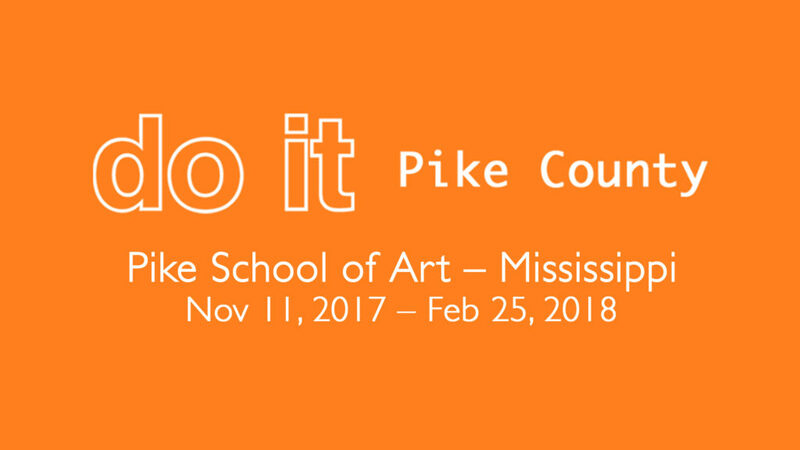 For information on calls, upcoming events and performances, and a behind-the-scenes look at do it Pike County, please visit this page or contact doit@psa-ms.org. do it Pike County documentation: Robert Ashley, Nairy Baghramian, Olafur Eliasson, Elmgreen & Dragset, Tracey Emin, William Forsythe, Douglas Gordon, Alison Knowles, David Lemales, Lucy R. Lippard, Yoko Ono, Lygia Pape, Pedro Reyes, Jim Shaw, Rirkrit Tiravanija, and Erwin Wurm. Artists: Sophia Al Maria, Robert Ashley, Nairy Baghramian, Christian Boltanski, Louise Bourgeois, Meg Cranston, Olafur Eliasson, Elmgreen & Dragset, Tracey Emin, Hans-Peter Feldmann, William Forsythe, Simone Forti, Theaster Gates, Simryn Gill, Douglas Gordon, Joseph Grigely, NS Harsha, Stephen J. Kaltenbach, Mike Kelley, Adriana Lara, Lucy R. Lippard, Ernesto Neto, Yoko Ono, Lygia Pape, Cedric Price, Pedro Reyes, Pipilotti Rist, Ugo Rondinone, Peter Saville, Jim Shaw, Sturtevant, Rirkrit Tiravanija, Agnès Varda, Franz West, Erwin Wurm and others. If you are interested in becoming a patron of sponsor, please click HERE. do it Pike County is supported in part by funding from the Mississippi Arts Commission, a state agency, and in part, from the National Endowment for the Arts, a federal agency. 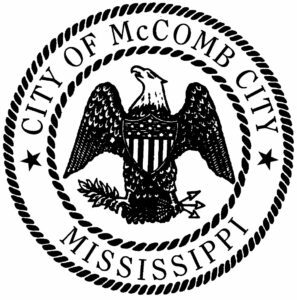 This project is made possible, in part from grants by the Mississippi Development Authority and the City of McComb City and with the generous support from Diane Wiltshire and Triston Wilkinson.